Here are 8 Search Engine Optimization tips for a new website. Since some of these require some technical knowledge, you may need to read up or enlist some help to get all of these things in place. But, it’s worth it. 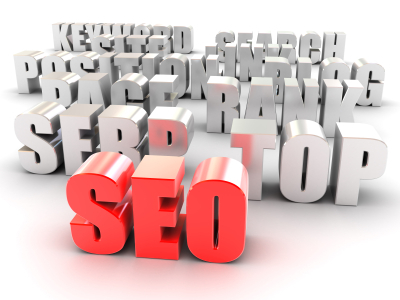 They will go a long way in helping your new site to rank well in search engines. Have fun! The H1 tag is an html element that denotes the main heading on a web page. This is a factor in ranking, so make sure that each page’s H1 tag uses the main keyword from its title tag. Give each page on your site a unique meta description. Though Google doesn’t factor these into their rankings, they show up under your link in search results and give you a great opportunity to convince potential visitors to click on your site. The title tag of your website appears in Google’s search results (it’s the text that links to your site) and is probably the most important on-page SEO element. Give each page a unique and keyword rich title tag. Keep the keywords around 65 characters and then add your business name to the end after a separator, like the pipe bar. In the title tags, etc., make sure not to target one keyword on multiple pages. You can target more than one keyword per page, but targeting the same keyword on multiple pages will cause the pages to compete with each other in Google’s rankings. A sitemap is a file read by search engines that lists the pages of your site so the search engine knows where to crawl. Adding one to your server will help to get all of the pages crawled and indexed by Google. You can create one here: http://www.xml-sitemaps.com/. Then, open a Google Webmaster account and you can easily upload the file through the dashboard. Google doesn’t like sites that contain content that’s duplicated, whether the duplicated content appears within the site, or elsewhere on the internet. To avoid having problems, make sure that each page on your site has unique content, and that it doesn’t appear anywhere else online. Like the sitemap, a robots.txt file is read by search engines, but this file tells them what NOT to crawl and index. You’ll want to upload one of these to your server and include any sections of your site that you don’t want to be indexed. Check out tip #8 for some ideas about what to include. If you have single pages that you don’t want to show up in Google’s results, like a ‘Contact’ page for example, the ‘meta robots no index, follow’ tag is a better blocking option than robots.txt. It’s a page-level tag that keeps Google’s spiders from crawling a page, while still following the links to the rest of your site.